Hallowe’en is over on the calendar but not in my heart. 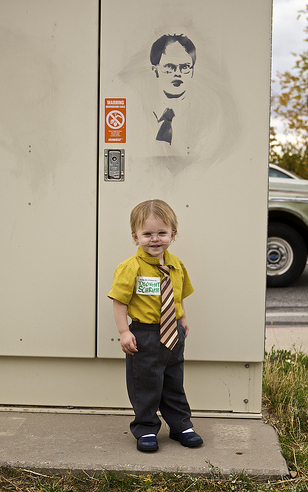 This eighteen-month old girl dressed as Dwight Schrute. Via. I did not become a Lackawanna County Volunteer Sheriff's Deputy to make friends. And by the way, I haven't. This woman painstakingly mixed colours to go as Low Resolution. Love it. This looks shopped. I can tell from some of the pixels and from seeing quite a few shops in my time. And what about these adorable munchkins, the charming offspring of a lovely couple I know? 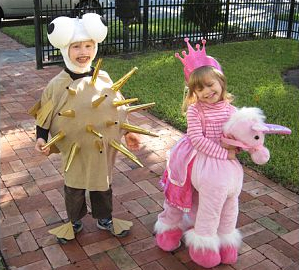 Well, for starters, the little girl is sporting one of my favourite types of costumes, the “my legs become the legs of the thing I’m riding on” type of costume. I actually have an entire folder containing photos of these costumes, since I keep meaning to do a compilation post about them. Nice choice, Princess. And as for the little boy, I lost my mind of the cuteness when my friend reported in mid-October that he had asked to go a puffer fish for Hallowe’en. His parents were pulling their hair out trying to figure out how to make this costume, but the final product is amazing. Please do not give these children any balloons today. So full of win! Happy Ween, everybunny. PS- If you’re new to Pageslap today, welcome! and my costume turned out pretty OK, check it out! This entry was posted on Wednesday, November 4th, 2009 at 6:00 am and is filed under cute, design, doing it right, doppelgangers, funny, the funny things my friends say. You can follow any responses to this entry through the RSS 2.0 feed. You can leave a response, or trackback from your own site. I love the costumes. The one i most like is the little girl. I couldn’t tell if it was a girl or a boy. Until I read it. I like the little unicorn, how cute! OH MY DWIGHT is adorable! My daughter went as princess on a pony for three years in a row. The bottom of that costume was enough to turn the stomachs of everyone present byt the third year. blech. My name kelly and I think this is cuteeeee!!!!!! 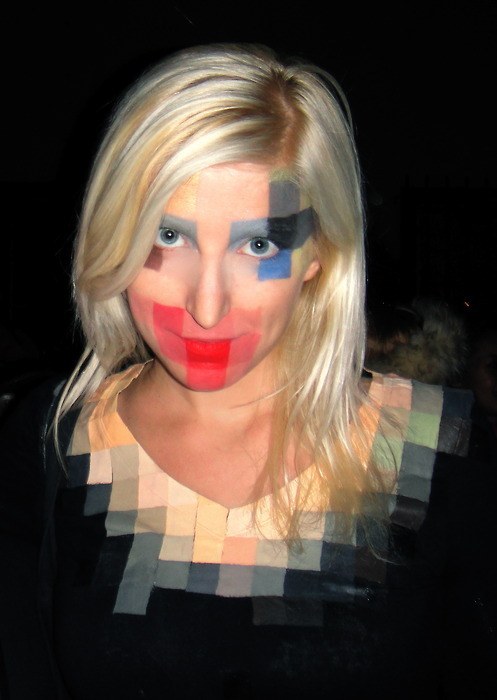 I loved the Low Resolution costume… Took me a minute to get it… HA Very smart. Loving the Dwight costume AND the quote you put! too cute! The Dwight costume is CHOICE! I think that photo was taken in Orem, Utah. I LOVE it! Also, kudos for creativity for low resolution girl. Thanks for sharing! and the winner is….. the last 2 costumes, especially the boy’s one! Gosh! where were his parents when he wore it? Option 3, you can hire a professional to refinish your existing tub. with sandpaper, usually 220 or 240 grit.